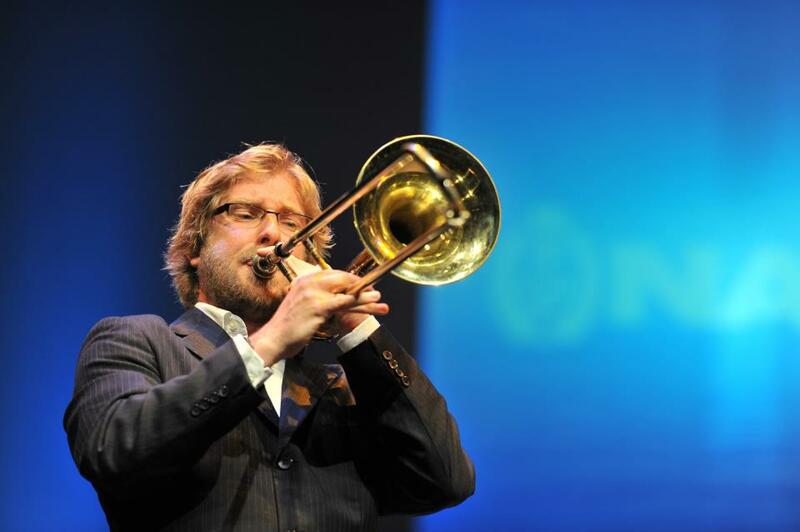 David Bremner is Principal trombone of the New Zealand Symphony Orchestra, a position he has held since 2002. Prior to this appointment, he was principal trombone of the Auckland Philharmonia. Born in New Plymouth, David began his early musical studies on cornet and euphonium under the tutelage of his father. After moving to Trombone he went on to graduate with honours from Victoria University of Wellington studying with Marc Taddei. He was awarded the prestigious Patricia Pratt Scholarship to study at the San Francisco Conservatory of Music, and graduated with a Master of Music degree studying with Mark Lawrence. During this time he was a finalist in the Gisborne Music Competition, placed 3rd in the NZ Young Musicians Competition, and won the Shenson Young Musicians competition in California. As a soloist, David has performed concertos with the NZ Symphony Orchestra, including the world premier of Gareth Farrs Funambulistic Strains, recorded Lyell Cresswells concerto ‘Kaia’ for Naxos Records, and featured in Eve De Castro-Robinson’s The Glittering hosts of Heaven. He has also been a featured soloist with the Auckland Philharmonia, the NZ Army Band, The Central Band of the Royal NZ Airforce, The Royal NZ Navy Band, the National Youth Brass Band of NZ on their international tour of 2003, and with the National Brass Band of NZ on their 2005 European Tour. In 2009 his debut solo CD Gung-Ho, featuring the New Zealand Symphony Orchestra and the National Brass Band of NZ, received the Classical Music Award at the Vodafone NZ Music Awards. A versatile musician, David has recorded with the New Zealand rock band ‘Crowded House’, performed with the Royal Philharmonic Orchestra, Fodens Richardson and Desford Brass Bands in the UK, and the San Francisco Symphony Orchestra and Bay Brass in the US, as well as being a founding member of ‘Bonanza’ Trombone Quartet. He currently teaches at ANAM school in Melbourne, and is Music Director of the Wellington Brass Band, 2013 A Grade National Champions.